Click thumbnail to view full-size images. We like very much the appearance of the French Script MT font. It is graceful and flowing while being much easier to read than many script fonts. However it does NOT auto-digitize well. Fr. 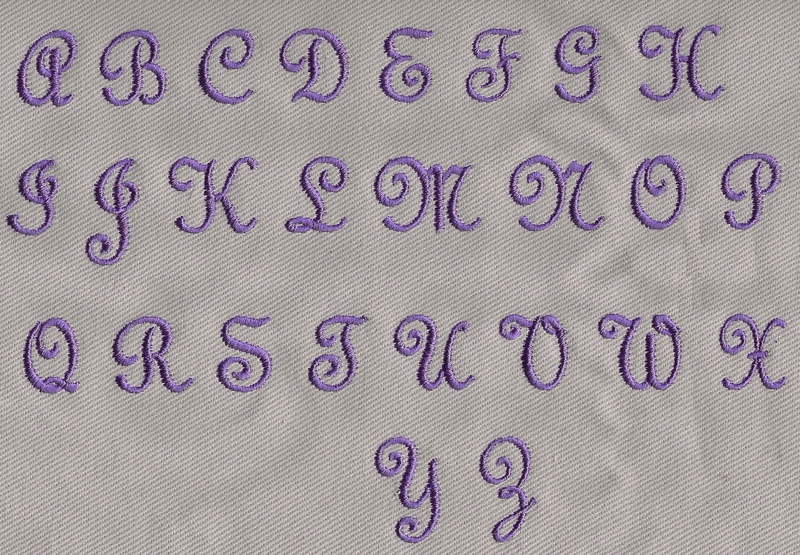 Jonathan has created this alphabet design set which retains the graceful appearance of elegant handwriting, but it will sew out smoothly, with no jump stitches in individual letters, except i and j. 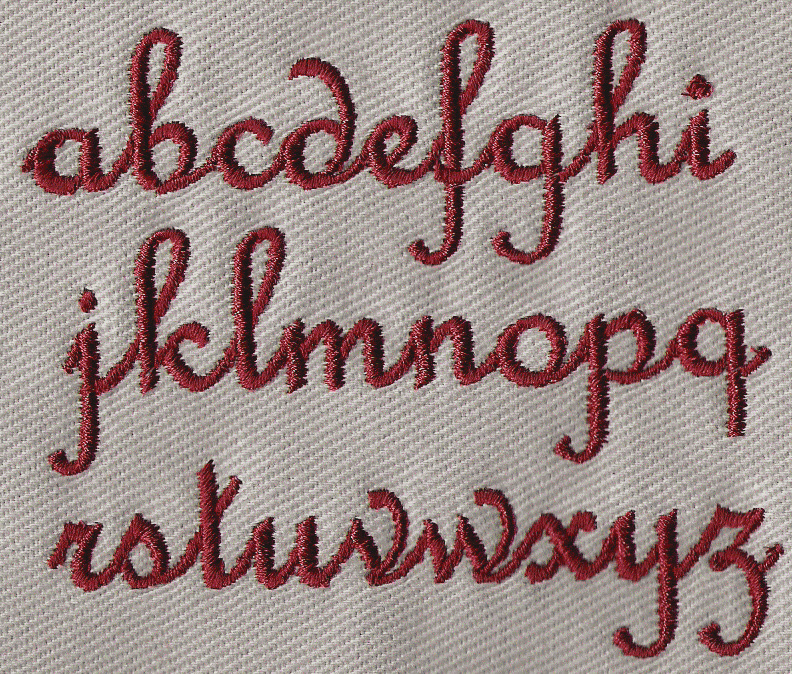 * As a true script alphabet, lower case letters can be positioned side-by-side with no trims or jumps between them. Size 2: Capital "A" is 0.75 inch high. Lower-case "a" is .35 inch high. * Some jumps are unavoidable in the special characters. 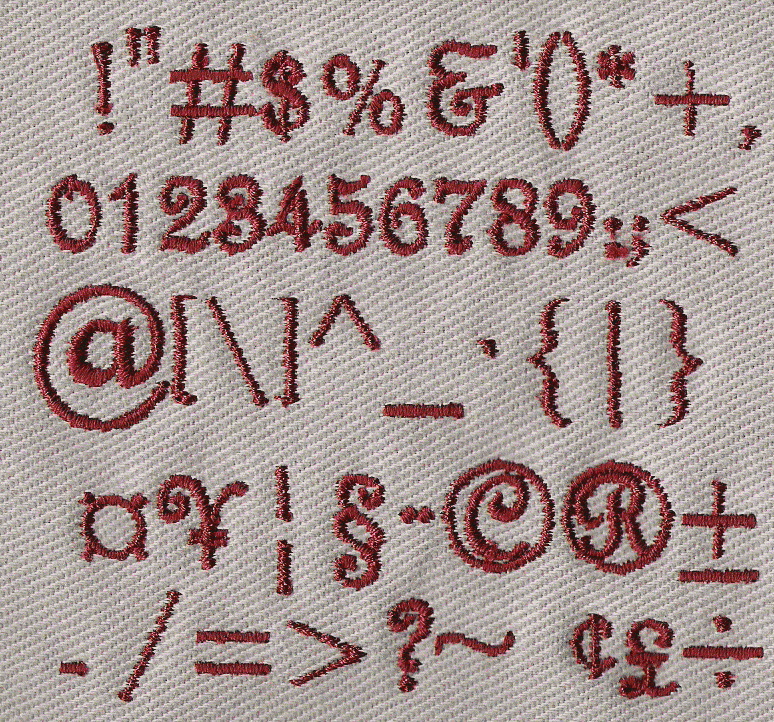 ** We advise use of 60-weight thread with the 0.5 inch size French Script SWG alphabet.